Perfect first home for those wanting to get on the property ladder. This First Floor 1-Bedroom apartment offers a fully integrated Kitchen, tiled Bathroom, spacious living area with the additional benefit of having a Dressing Area off the Bedroom. 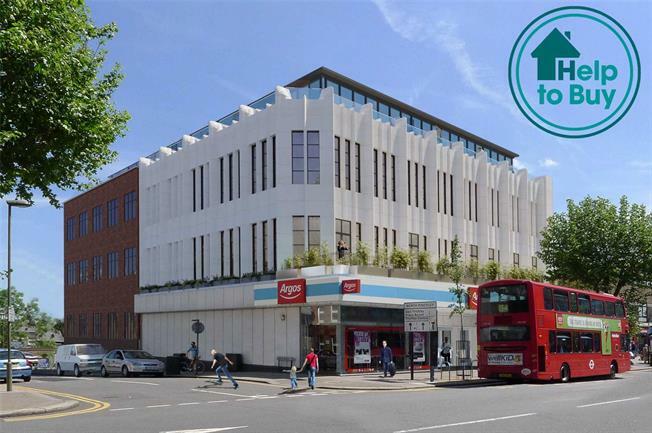 Part of this newly converted development of 21 apartments comprising of Studio, 1 and 2-Bedrooms conveniently situated for North Finchley with its range of shops and eateries with excellent links to central London via a number of Northern Line train stations which are situated within the area. The development is ideal for First Time Buyers and young professionals. Bathroom with fully tiled floor and walls, contrasting black and white tiles combined with white marble effect tiles. Black wall hung vanity units with mounted sink and taps. Selected bathrooms with concealed cisterns and wall hung WC with dual flush. Modern chrome shower head and taps. Shower screen. Large LED-lit wall mirror. Heated chrome towel rail. - Downlighters in Bathroom, Kitchen and Living area. Recessed ‘puck’ lighting in the Kitchen/Reception room. LED strip lights in the Kitchen and Bathroom. Atom pendant lights – white shade/satin silver and wall lights in Bedroom. - Flooring: Kitchen/Living area – Oak engineered wood flooring, Bedroom has carpets from the Kingsmead collection Berber Season in ‘ault biscuit’ colour.